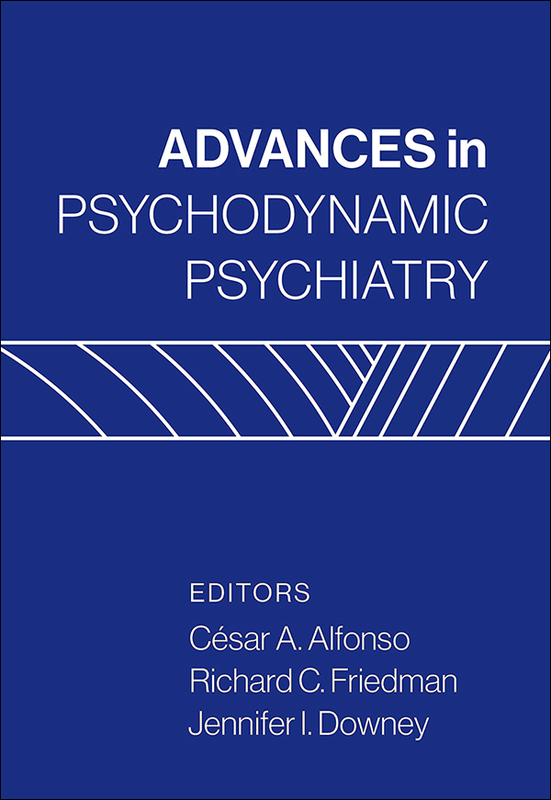 Bringing together important articles from Psychodynamic Psychiatry, this volume shows how contemporary practitioners are using a multidimensional biopsychosocial approach to increase the robustness of clinical research and the effectiveness of patient care. Chapters review cutting-edge approaches to formulating anxiety and mood disorders, eating disorders, traumatic grief, substance use and addictive behaviors, obsessive–compulsive disorder, personality disorders, schizophrenia, somatic symptom disorders, and trauma and stressor-related disorders. Treatment of specific populations is addressed, including infants and parents, children, spouses of the chronically ill, survivors of intimate partner violence, criminal offenders, and the elderly. Featuring rich case illustrations, the book integrates psychoanalytic concepts with advances in knowledge about neuroscience, gene–environment interactions, and the physiological impact of adversity.